Although granite has been utilized by man for thousands of years, including part of the Great Pyramid of Giza, it wasn’t until the late 19th century that it’s beauty and durability really began to be put to use. This was mostly due to the strength of the stone and the inability for stoneworkers to work with the stone in the way that they wanted because their tools were unable to carve and shape the granite. The rock was just too dense! Following the innovation of stonemasonry tools, all of this changed. 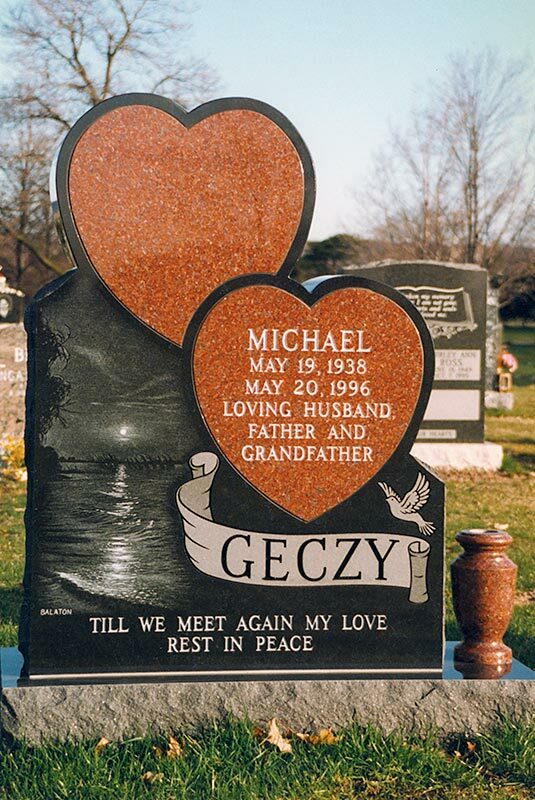 Granite became the choice stone for headstones and memorials, and over the years, multiple other industries began to the many ways that granite could be used. At HGH Granite, our family-owned company has been in the industry since 1929, and through this time we’ve seen more and more industries come to reach out to us needing a granite supplier in Ontario. It’s been wonderful seeing a wide range of businesses and trades. No matter what project you may be working on, and if granite is involved, we can help. In this post, we’ll bring up the industries we currently work with and the benefits that our granite works provide. Contact us today for more information! Soon after arriving in Ontario from England in 1929, Henry George Hardwick began using his skills as a stonemason to produce the highest quality memorials that the community had ever seen. Remember, this was soon after the advancement in stone masonry tools so the headstones and memorials of the time were typically made out of marble, which would eventually fade and degrade over time. Nearly 90 years later, HGH Granite is still supplying monument retailers in Ontario, upper New York state, and the surrounding areas with the best wholesale granite on the market. 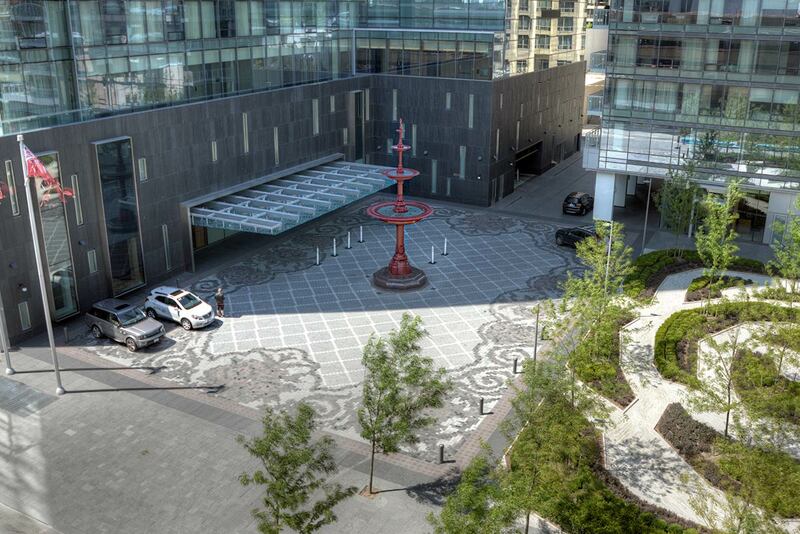 Granite not only guarantees that the memorial will stand the test of time, but the natural beauty of the stone provides the ability to choose between almost unlimited colours. Not only do we supply our clients with the material, but we also provide a variety of granite services including laser etching, sandblasting, and more. We have always and will always provide granite to memorial retailers, it’s part of our past as well as the future, but continue reading to learn about some of the other industries that choose us as their preferred granite suppliers. Of course, landmarks aren’t an industry, but there are multiple trades that use our granite company to help build granite landmarks that are unique and incredibly long-lasting. From granite signage for municipalities and businesses to war memorials, fountains, and the like. We’re with our clients through every step of the process to ensure that the final product is perfect, no matter how intricate or challenging. We even provide installation to make sure that the landmark is safely set in its final destination. From simple projects to complex landmarks, we have the granite and the expertise to help these industries produce a unique and beautiful landmark. More and more architects are beginning to realize just how beneficial granite can be to their projects. Through its durability, the architect can rest assured that their architectural features will be admired for many, many years to come, and the beauty of granite and its assorted colours really add something special to the project. We’ve helped many architects bring their vision into a reality through our custom stoneworks, and the sky’s the limit when it comes to artistic freedom. From granite Persian rugs to granite apples, we’re always excited to assist in an architectural project and see it to its completion. Along with architects (who are also artists), we’ve seen a big influx of clients from the art community. Although granite is one of the strongest and most durable stones to work with, our advanced stonemason tools and inimitable expertise gives us the ability to craft granite into whatever shape is desired, no matter the size. We’re really excited about providing our services to the art community and love that the innate beauty of the stone is getting the chance to be appreciated by so many people. To some, granite is just a stone, but to us at HGH Granite, it is much more than that, it’s a blank canvas waiting to be turned into something breathtaking and creative. From memorials to granite architectural features, our granite company has grown a lot since 1929, achieving a much more diverse clientele from when we originated. While we always honour our past, we also look to our future and the many ways that granite can be used. If your industry was not mentioned in this blog, don’t be deterred, if you’re in need of a granite supplier in Ontario, we’re here for you! Contact us today and we’ll let you know exactly how we can help.